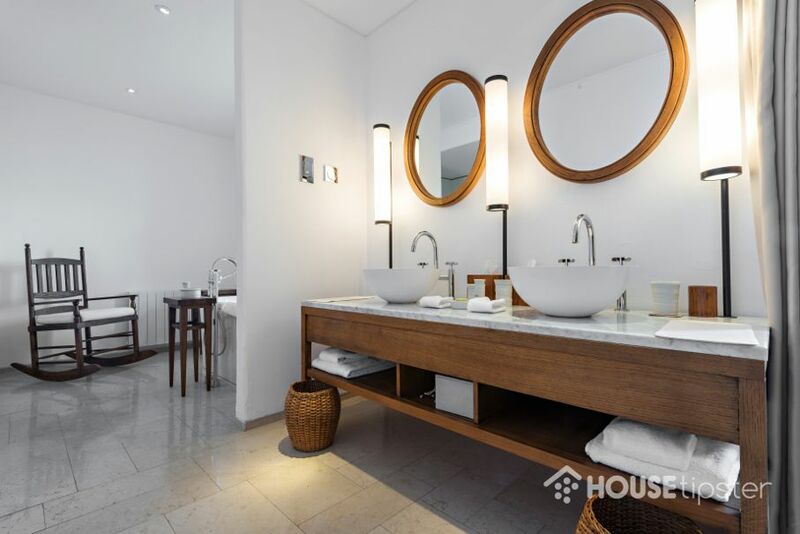 Every bathroom needs functional lighting that gets you out the door looking and feeling great. 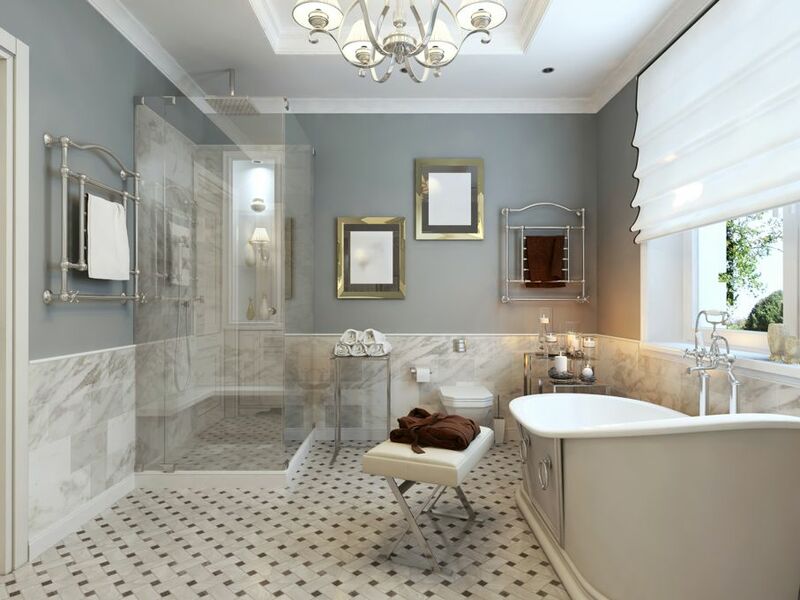 Here are some helpful ways to find the perfect bathroom lighting. An essential feature for bathroom remodeling is the room's lighting. Bathroom lighting should be functional for grooming and performing daily hygienic tasks and comfortable for relaxing showers or baths. This balance can be difficult to achieve. 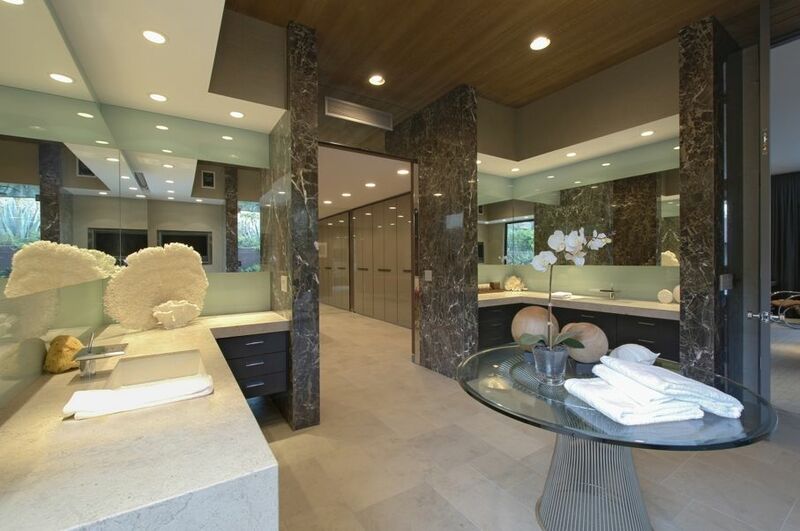 Here are some current trends to guide your bathroom's lighting design. Overhead mirror lights are misleading when it comes to doing makeup or shaving. Many professional interior designers are now choosing to layer lights in the bathroom, creating lighting paths that eliminate shadows and illuminate from all angles. There's no need to ditch your overhead bulb, but implement a pair of sconces on either side of the mirror, a strip of lights over the mirror, an under-cabinet light above the sink, and a decorative sconce by the door to see yourself well from all angles. Vanity lighting should be key to any bathroom. Lighting around a mirror can be crafted in many ways. A light strip above with multiple globes is a sleek, aesthetic option. Another is to install bar lights that frame either side of a long mirror, casting light from both above and below. Sconces on either side of a vanity, combined with an overhead light, work wonders. If you already have an overhead light, adding a pair of sidelights can have a major impact. A mirror can be a resourceful option for vanity lighting. There are many mirrors on the market that have lighting features built-in. Install an oval-shaped mirror with a frame of light that encircles your face to give you illumination from every direction. Recessed lighting can be impactful in a small bathroom. You can install several recessed lights that illuminate areas like the shower and bath. Dangling lights over the water is dangerous, but recessed lighting can brighten up the shower without the risk. Recessed lights can also be can be angled. If you need light to cross paths and eliminate shadows, try installing two recessed lights on either side of your vanity and then angle them so that they create an “X” over where you stand. You can also add a dimming feature to your recessed lighting for relaxation. When it comes to lighting your bathroom, think beyond the traditional lighting fixtures. Decorative lighting can add an artistic flair to your room. If space is available, add a decorative lighting piece above your bathtub with functional ambient lighting. Sometimes, natural light can be a great option for functionality, design, and comfort. If your bathroom has open windows with a natural view, place your bathtub in front of the window and add curtains for privacy. Placing mirrors strategically in your bathroom can work for reflecting natural light during the day. 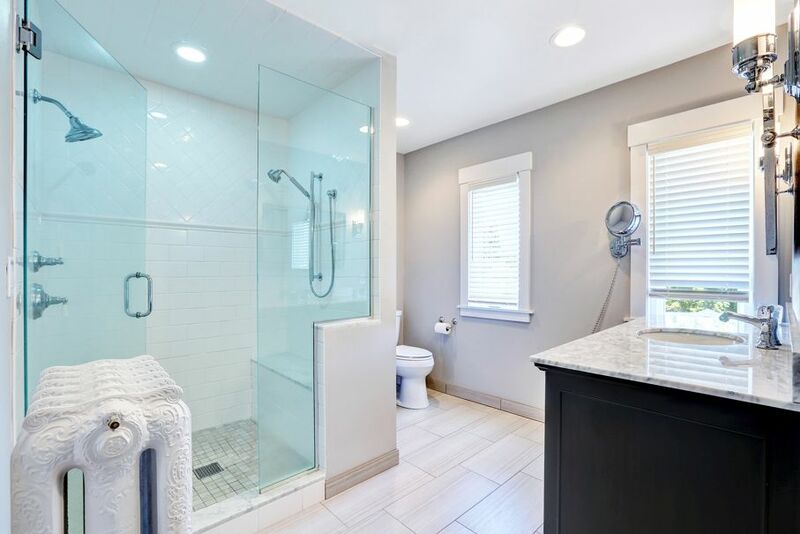 Think about installing other materials in your bathroom that can reflect light such as glass shower doors, copper furnishings, glossy frames, and shiny wood.